Israeli soldiers abducted, on Thursday at dawn, at least fifteen Palestinians from their homes, in several parts of the occupied West Bank, after the soldiers invaded and ransacked dozens of homes and property. In occupied Jerusalem, southeast and northeast of the city, and abducted Mousa Dabash and Sharif Ja’abis, from their homes in Sur Baher, southeast of Jerusalem, in addition to Emad Silwadi, from his home in Anata town, northeast of the city. In Nablus, in northern West Bank, the soldiers invaded Beit Forik town, east of the city, searched homes and abducted a former political prisoner, identified as Yazan Mahmoud Nasrallah Hanani. 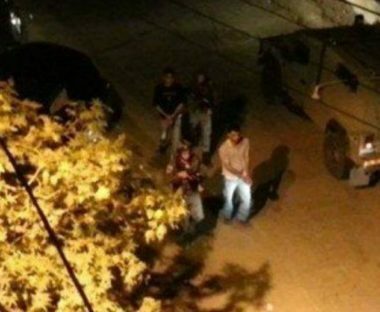 The soldiers also invaded the home of a former political prisoner, identified as Majd Azem, from Sebastia town, north of Nablus, and summoned him for interrogation. In Qalqilia governorate, in northern West Bank, the soldiers abducted Saleh Odah Nazzal, 20, from Qalqilia city, in addition to two former political prisoners, identified as Obai Hamza Hussein, 25, and Yahia Ali Adwan, 25, from Azzoun town, east of Qalqilia, Mohammad Abdul-Rahim Salim, 22, from Jayyous town, east of Qalqilia, and Mohammad Mahmoud Za’rour, 20, from Sir town, east of the city. In addition, the soldiers abducted a young man, identified as Malek Basbous, from the al-Jalazoun refugee camp, north of the central West Bank city of Ramallah, after stopping him at the adjacent military roadblock near Beit El illegal colony. Furthermore, the soldiers abducted Omar Ammar Shakarna, 17, and Fadi Ribhi Zeidan, 24, from their homes in Nahhalin town, west of Bethlehem, in addition to Shawqi Amjad Salah, 15, from his home in the al-Khader town, south of Bethlehem. The soldiers also fired many gas bombs, concussion grenades and rubber-coated steel bullets, in addition to several rounds of live ammunition, at Palestinian protesters in the al-Bawwaba area in al-Khader. In Hebron, in southern West Bank, the soldiers abducted Nasr Taleb Abu Sneina, 20, from his home in Abu Sneina neighborhood, after ransacking the property and searching it using K9 units, in addition to Ahmad Mahmoud Awad, after invading his home and searching it, in Beit Ummar town, north of the city. 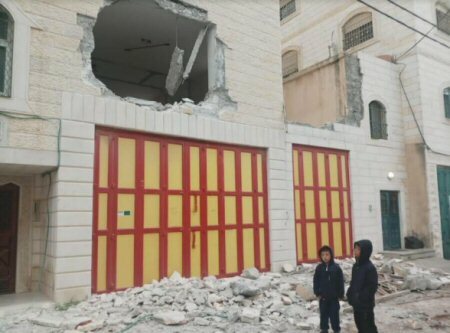 In related news, the soldiers invaded Ejja town, south of the northern West Bank city of Jenin, and conducted extensive searches in the area surounding the local mosque. The soldiers also installed roadblocks on the Jenin-Nablus road, and the areas surrounding Jaba’ and Silat ath-Thaher town, south and southwest of Jenin.